The Staging team was excellent. They provided a quality of service that was far beyond expectations. Rebecca and her team did an amazing job and were a pleasure. I have no hesitations in recommending her and would gladly use her again! Thanks Rebecca! The staging team did a very professional job. 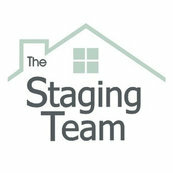 The house would not have sold in 9 days without the quality work the staging team did.